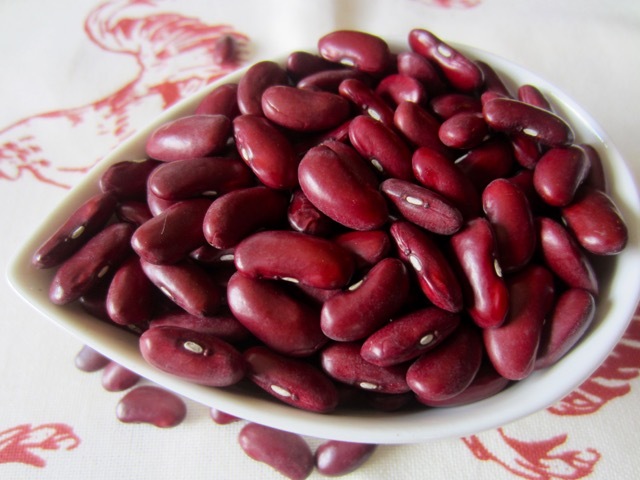 What is Dark Red Kidney Bean? 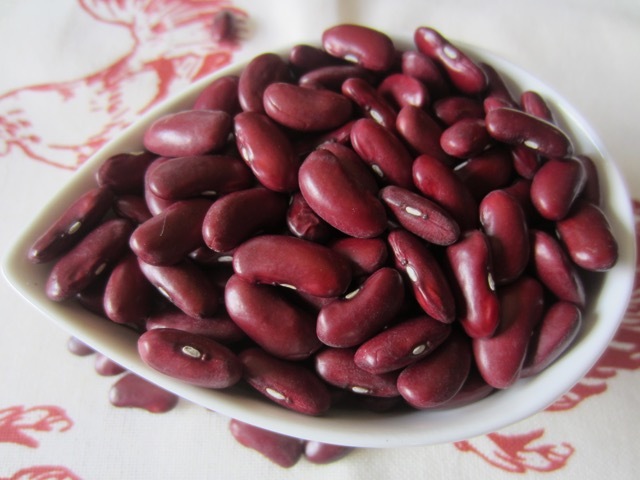 Red Kidney beans are a cultivated variety of the common bean, Phaseolus vulgaris. They should not be confused with Adzuki beans which are smaller and belong to a different species, Vigna Angularis, together with Black and Green Gram. 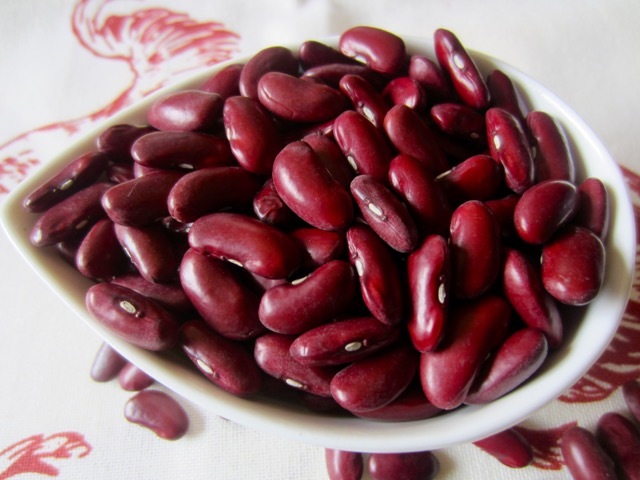 Other Kidney beans may be light red or white. 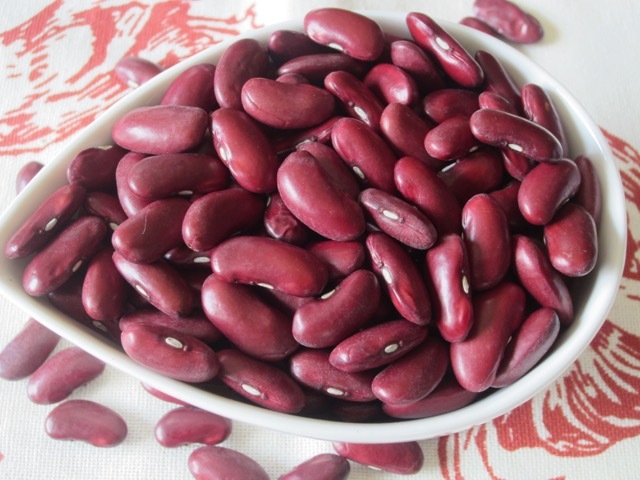 Dark Red kidney beans are kidney shaped. They are shiny and deep mahogany red in colour. They maintain the red colour when cooked and have a soft mealy texture. The flesh is white, creamy and firm. Red kidneys are a favourite in South American cooking. They are popular for chilli, soups, casseroles, stews and salads. They are also commonly used in chilli con carne. In Northern India, the beans are called Rajma and are used to make a dish called rajma. In southern Louisiana, USA, red kidney beans are used in the classic Creole dish of red beans paired with rice. Choose plump evenly coloured beans without wrinkles, holes or cracks. Make sure there is no insect damage and there are no broken beans. Pick off any dirt, debris or broken beans. Wash the beans thoroughly with cold water. The damaged beans should float on top. Remove them. Soak the beans overnight (at least 6 hours) or until they absorb water and plump up. The longer soaking time reduces their gas producing sugars. Place in a large pot and add enough water to cover them. Bring slowly to the boil and skim off scum that rises to the surface. Reduce the heat, partially cover the pot and simmer 50-60 minutes or until cooked. Cooked beans should be easily pierced with the tip of a knife. Salt in the last 10 minutes. Drain the beans from the cooking water and use as desired. Store the beans in an airtight container, at room temperature for up to one year. Pre-cook the beans, cool and store in small airtight containers for 6 months. Bring to room temperature before using or defrost in the microwave. Store cooked beans in an airtight container the fridge for up to one week. Next What is Celery Seed? I am loving this “What is…?” series of yours, Liz. I read most of them, but (alas!) comment on very few. I will remedy that. Looking forward to what comes next. Thank you Aruna. I’m glad you love the series. Pleasant weekend to you! Thank you. I have just been eating some Rajma curry tonight. So good!!! !